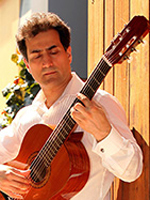 Aydin Zahedi started learning classical guitar at age 12. Five years later he purchased his first electric guitar and dedicated most of his time to refining his newly found musical skills. 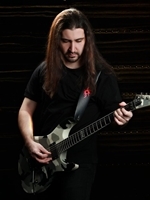 Aydin loves to perform as a session musician in live concerts and has made studio recordings. He studied Jazz performance at the Vienna Conservatory of Music in Austria to further develop his academic view and master his musical skills. With 18 years teaching experience, Aydin is very enthusiastic about teaching young students (beginner to advanced levels) and tailors each lesson to suit each student's interests and needs. He believes that highlighting each student’s achievements and efforts will encourage them to spend more time practicing the guitar. Aydin encourages parents to attend lessons and regularly reach out to him. Mahoor first picked up a guitar 25 years ago and was immediately hooked. Mahoor has studied Classical Guitar in his home city of Tehran and also in Australia, completing two Bachelor of Music degrees. Specialising in Classical and Flamenco guitar styles (where the strings are played with thumb and fingers, not a plectrum). As an accomplished tutor and performer Mahoor can play a variety of forms of music and is often invited to play solo or guest appearances for a wide range of performances. Nazli Bodaghi began learning Classical Guitar at fifteen then studied Classical Music (performance) at Tehran University. She is also a trained soprano, singing in the Tehran Choir. 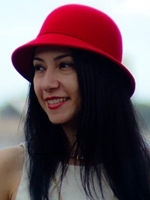 Nazli has been teaching music for over ten years and after moving to Australia and learning about Suzuki Method has been teaching following this methodology for the last five years. Nazli is a passionate and caring teacher who is a testament to the Suzuki philosophy “where love is deep much can be accomplished” Dr. Suzuki.